It is said that Black Chicken is an ancient crone, renowned for her healing power and ability to transform her appearance at will. For centuries they came, with their problems and ailments, to sit at her feet. Only those with good hearts were admitted. Those who had forgotten to how to trust sought her door in vain. Black Chicken knows, they said, one to another, and so their children learned, and their children's children. I discovered the Australian brand Black Chicken Remedies a little over 2 months ago. I had seen Caroline Hirons recommend the "Cleanse My Face" Purifying Cleansing Oil on instagram, and was immediately intrigued. Off to their website I went, and became increasingly impressed, and interested in all of the information presented, the detailed discussion of the ingredients of the products, and their benefits. My initial purchase was made that same evening, and within 2 days my order had arrived. The travel skin care and starter pack ( $34.95AU ), and the Cleanse My Face Purifying Oil Cleanser 100ml. Packaged in a small black mesh carry bag, all of the oils are in beautiful quality bottles with dropper dispensers, ideal for re-use. The balm and paste are in screw top jars. This is a wonderful way to try some of the Black Chicken Remedies products, and I believe great value for money. You will be able to sample the products, feel the beautiful textures, inhale the balancing and calming aromas of the oils, and most importantly see how they perform for your skin. As I have mentioned in previous posts, I have oily/combination skin that is acne prone. My issues with acne stem from having Polycystic Ovary Sydrome. I have only recently learned, that I need to stop treating my skin like I did when I was younger. It is hard not to get angry and frustrated at your skin when you feel like you are always having to deal with breakouts. Whether it's congestion and blackheads, multiple pimples, or those horrible painful lesions that lurk under your skin, acne can have a huge effect on your self esteem. I've been there, I understand, and I still struggle with it. So, instead of punishing my skin by loading on layers of topical drying treatments, I am taking a gentler approach, and have seen some great improvements in my skin over the last 12 months. The products I have tried recently from Black Chicken Remedies have been wonderful. They are balancing, hydrating and calming. I have noticed a decrease in inflammation, and a general improvement in texture and tone. I also feel like my skin is producing less oil, and if I do experience any breakouts they are significantly less severe and heal very quickly. I absolutely adore the natural fragrance of these products. Fragrance is a very personal thing. We are all different when it comes to our likes and dislikes. I appreciate that some people do not like fragrance in their skincare products, or can be sensitive to them, particularly for the face. The essential oils in these products are as medicinal for your skin as the base oils, they are not there just to make them smell good, even though they do that very well! I have always been interested in aromatherapy, and love burning essential oils at home. As someone who suffers from anxiety, I find the scent of these products almost immediately calming. It is difficult to describe, but to me it is warm, earthy, subtly floral, with a hint of sweetness. It makes me feel comforted and at ease. This is an absolutely beautiful oil cleanser. The photograph above clearly lists all ingredients. I use two pumps ( yay, a pump! ) for my evening cleanse, massage it in all over my face, including over my eyes. It has a beautiful silky, velvety texture. I spend a minute or two massaging and inhaling the gorgeous aroma, then remove with a warm flannel. It removes all of my makeup with ease. I normally follow an oil or balm cleanser with a non foaming gel cleanser, however if I feel that my skin is a little dehydrated, I will double cleanse with this. On occasion, I will apply the second layer of oil, and leave it on my skin as a hydrating mask while I wash my body/hair...more breathing, and then go in again several times with my warm flannel to remove, rinsing it well in between. Love Your Face Serum has been described by the creator, Chey, as the "No-tox Botox" for your face. This very lightweight oil absorbs into my skin almost immediately, and gives you the most beautiful glow. It gives your skin a lovely boost of hydration, and can be used alone, or under your moisturiser morning and night. After trying this serum, I have repurchased the full 30ml size, which you see in the above photographs. For my skin, I find it enough on its own. I use 2, sometimes 3 drops, and apply to my face in the evenings. I then spend a minute pressing it into my skin with my hands, whilst...you guessed it...breathing. This serum is just beautiful. Perfectly hydrating. Fine lines are plumped up and definitely less noticeable! If your skin is normal to dry, or clinically dry, this serum would layer very nicely under your moisturiser. If you use and love oils on your face, then you will love this! If you don't use oils, then this one may well convert you! I also use this on any dry patches of skin on my body, particularly elbows and feet, and as a sufferer of winter excema, this will indeed get a lot of use in the coming months as the weather here in Australia cools down. It is also brilliant for mozzie bites! My children now come to me asking for the "special cream" and it works a treat at soothing itching and inflammation. I have not tried this as a balm cleanser, as the first ingredient is shea butter, and I am a little wary because I have found shea to be a little too heavy for my skin in the past. As we head into winter, and my skin naturally produces less oil, I will give it a go and report back!!
" An intriguing scent combining the pure essential oils of sandalwood, geranium, patchouli, lavender, carrot, ylang ylang, and nutmeg in a blend of avocado, rosehip, hazelnut and coconut oil. 100% natural ingredients"
A beautiful all over body oil. Non-greasy and nourishing, I use this as a weekly treat for my skin after my shower in the evenings. On occasion I put whatever is left on my hands through the ends of my hair. PJ's on...cup of tea...into bed...glorious. I have been pleasantly surprised at how well this natural deodorant works. It is certainly a little different to get used to using a paste, but it is nice to know, as with all of the products in this range, that there are natural alternatives out there that work. And they work in a way that is going with your body, and not against it. I am delighted to be able to share with you some thoughts from Chey, the creator of Black Chicken Remedies. I asked her if she would mind sharing a little of her story, her vision, and what led her to creating her own skincare line. "About 17 years ago while working in banking I discovered aromatherapy and was amazed by the potency of essential oils for healing. My new passion occupied my every thought. I read everything I could about oils and their properties and experimented day and night with the support of enthusiastic friends and family. My knowledge and experience grew day by day. I remember the day in Aromatherapy class about 15 years ago when I learned that some essential oils we put on our body, within 20 minutes they can be detected in the liver, this started me thinking what ingredients were in the beauty products we use every day? When I learned just how toxic many of these products were I knew in my heart I could create truly authentic products that heal rather than harm". "My vision is to create products using the power of mother nature to bring the body back into equilibrium. The knowledge of the ancient medicine men and women has been lost today with people wanting a quick fix for everything and putting harsh chemicals on their body to stop something from happening. I believe everything is happening for a reason. For example - We sweat for a reason so if we just apply toxic chemicals in antiperspirant to our bodies we will stop sweating but I believe its dangerous and thats supported by loads of research. We need to listen to our bodies and approach it with love and attention. When was the last time anyone applied moisturiser with awareness? Hopefully the products I create make people stop for a moment and be present." Black Chicken Remedies have a current Mother's Day Promotion with some great specials and gift with purchase. Click Here to check them out. Don't forget to sign up for their newsletter, you will receive an email with a discount coupon code after you do for your first purchase! Black Chicken Remedies ship worldwide, and have a list of online and in-store stockists on their website. Much of what I have learnt over the last 12-18 months I credit to Caroline Hirons. If you have not visited her blog, you can find it Here , pop it in your bookmarks, or follow her on Bloglovin. It is a wonderfully written, humorous, honest, invaluable resource. If you have made it to the end of this post I am so grateful, and I hope you enjoyed it! Please leave any questions or comments below, I would love to hear from you! 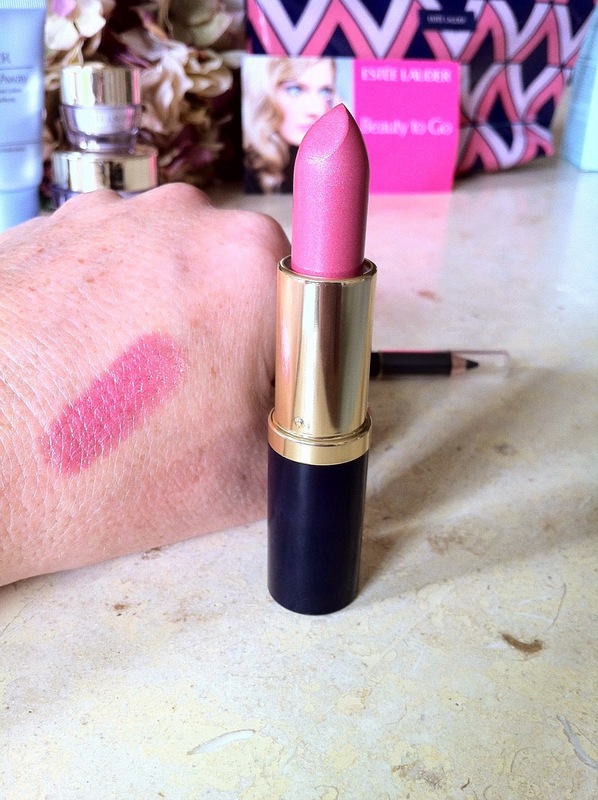 Attention Aussie girls who LOVE a good Lippy!! 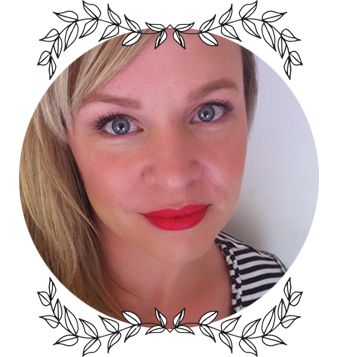 I discovered the relatively new Australian cosmetic brand Shanghai Suzy whilst having a mooch around the lovely Sarah's blog, More Than Adored. Shanghai Suzy are a lipstick only brand, based in Melbourne, Australia. Sarah has reviewed the 2013 launch collection on her blog, as well as the 2014 Autumn Winter collection. 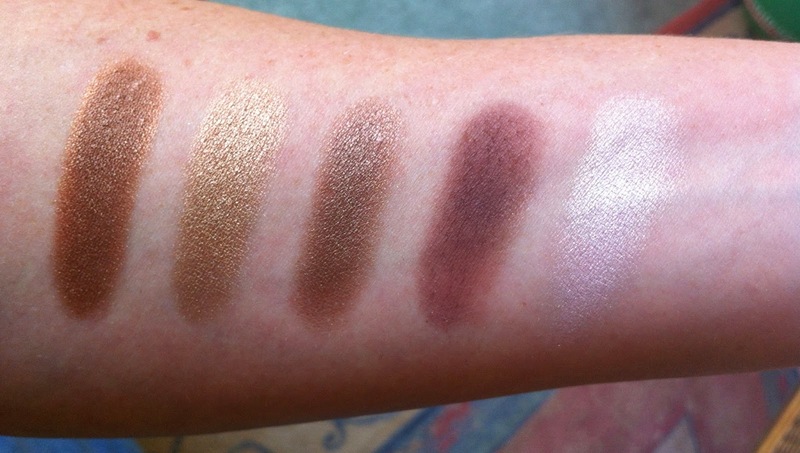 Her swatches are brilliant. She has also interviewed Jo Weaton, the founder of Shanghai Suzy, so do head on over to her blog to check out these great posts. Each of the lipsticks are $12.95 each. You can purchase 3 shades and choose a 4th for free. You can purchase the entire A/W 2014 collection of 8 shades for $65.00 with free shipping! You can be a complete greedy guts like me and purchase a "Pick and Mix" of 8 shades of your choice for $65.00 with free shipping! 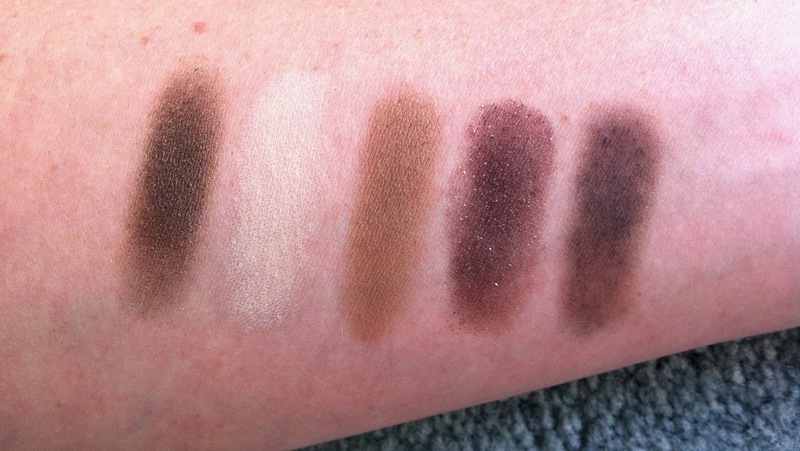 I have 7 shades to share with you today! ( I purchased two of one particular shade, which was gifted to a dear family member ). Perfect for storage, colour coded lids keep things functional and easy. Left to Right - Miss Sophia-Lilac, Miss Kitty-Black Plum, Miss Georgina-Pink Plum, Miss Brooklyn-Rose, Miss Melissa-Hot Pink, Miss Tegan-Cherry, Miss Hannah-Blood Red. Swatched in order corresponding to the previous photograph, in natural light. 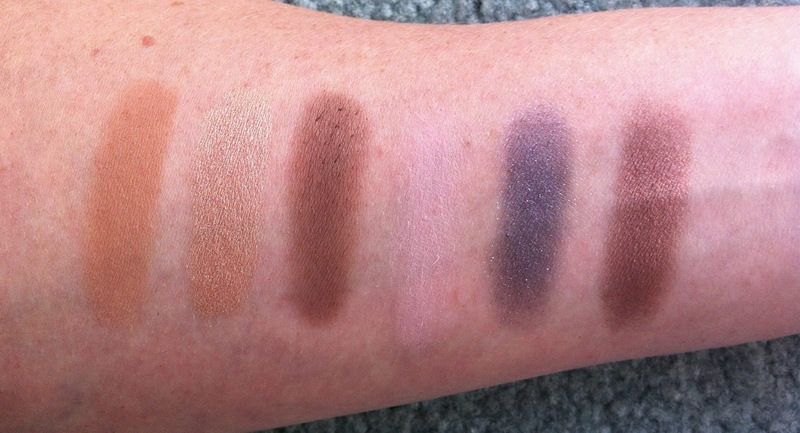 The most recent collection, Autumn/Winter 2014 are all Matte formulas. I am blown away by how comfortable this formula is on my lips. I own matte lipsticks from Revlon, Rimmel, MAC, and Maybelline, and Shanghai Suzy beats them all by a country mile. The pigment is rich and glorious, they are extremely long lasting, and yet still manage to feel so lightweight on the lips. There are some important application tips on the website, so do heed that advice to make the most of your finished look. Three of my shades are in the Nourish formula. 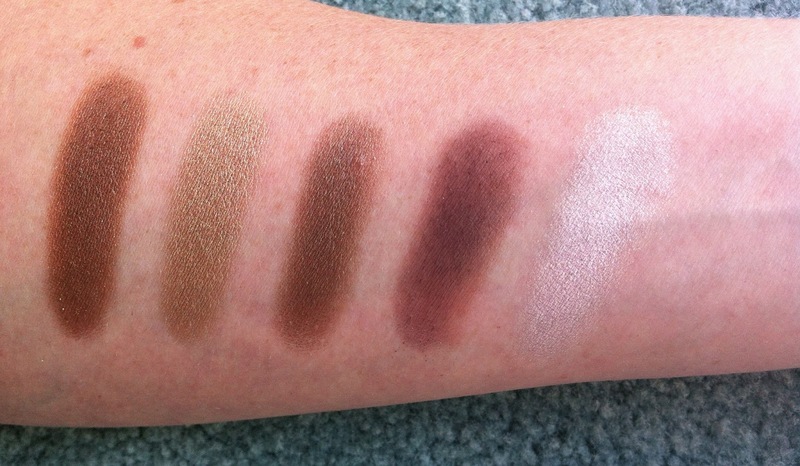 All three were from the Spring Summer 2013 launch, and as mentioned above, all shades are limited edition. Another beautiful formula, great colour pay-off, and they definitely feel nourishing and comfortable. Of course, being more moisturising, you will likely need to reapply more often. No problem. They do have a distinct scent. A fruity, bubblegum scent inspired by Grape Hubba Bubba! It certainly takes me back to my childhood! I did notice the scent to be quite strong when I first removed the lid, less so on application, and within a few minutes was not aware of it. I am not aware of any taste whilst wearing these lipsticks. I really love, and am enjoying all of the shades that I purchased. If you asked me my current, "go-to" shade, it would have to be Miss Georgina. For me, it is the perfect everyday, pick-me-up, brighten-up-my-face shade. I may feel the need to purchase a back up...and if it is ever re-promoted, perhaps a suitable name change might be "Miss Lou"...? Shanghai Suzy lipsticks are not tested on animals, and do not contain any animal derived ingredients. Do leave me a comment down below! I'd love to hear from you! Ok Aussie beauty lovers, it's Estee Lauder gift time at Myer!! Estee Lauder's Advanced Night Repair serum is a staple in my evening skincare routine. For me, it helps to calm redness, reduce the healing time of blemishes, and also aids in balancing my oily/combo skin. Not to mention a good kick of hyaluronic acid to boost the moisture levels in my tired, dehydrated face. It has a beautiful silky texture that just melts into your skin, leaving it plump and hydrated. Love. I have also been known to press a few drops of this gel-like serum onto my skin after cleansing in the mornings...it makes a beautiful base for your makeup. A rather handy time to be running very low on my first bottle really... gift with purchase time! So, along with my second bottle of dreaminess, here is a little peak inside my gift bag! You are able to choose between two different skincare sets within your gift, I believe the colour cosmetics are identical in each bag. This lovely offer will be available until Sunday 13th April 2014, or until stocks last. Don't forget that Mother's Day in Australia is just around the corner...so leave some shockingly obvious hints for your loved ones around the house, or just plan to spoil your own mum!